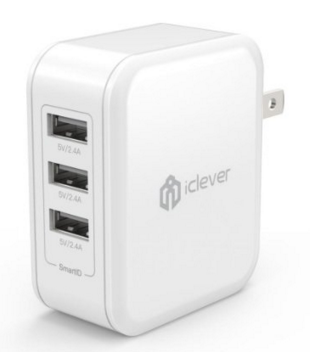 iClever BoostCube 3-Port USB Charger Just $10 Down From $50! You are here: Home / Great Deals / Amazon Deals / iClever BoostCube 3-Port USB Charger Just $10 Down From $50! Wow, check out this great Amazon deal. iClever BoostCube 3-Port USB Charger is just $10 down from $50 after entering the promo code ZFBCE475 at checkout! Get yours now while it lasts!